Fast and easy cutting. Notcher makes a clean 30° "V" shaped cut in sheet metal. 13/16" maximum throat depth. Upper cutting jaw is drop forged high impact alloy steel. Hook design of cutting jaw facilitates notching corners or take-off tabs to desired depth without slipping. Rust resistant nickel plate and black oxide finishes. 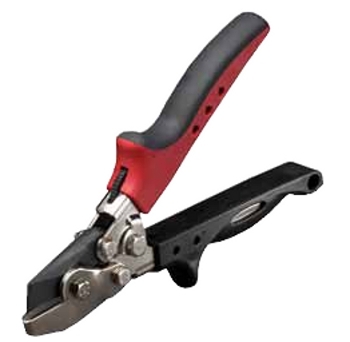 Tool also features vinyl grips with hand stops for added comfort and resistance to elements.